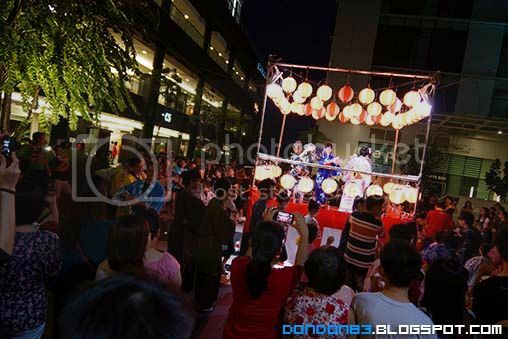 Bon Odori again.. this is 2nd Bon Odori i attend this year. 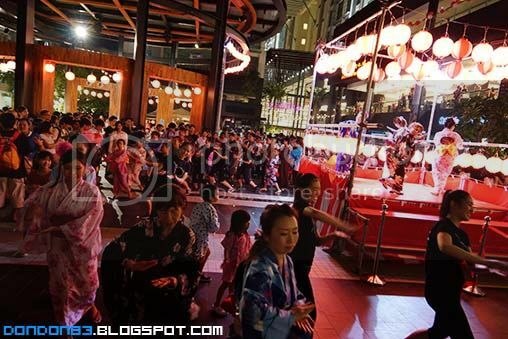 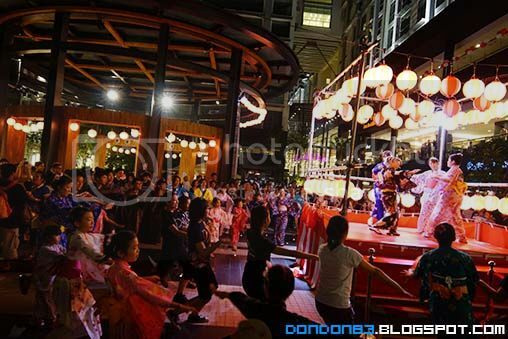 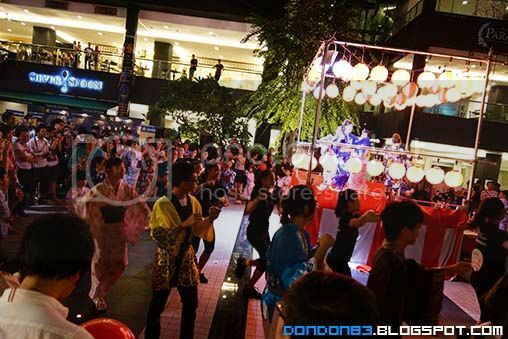 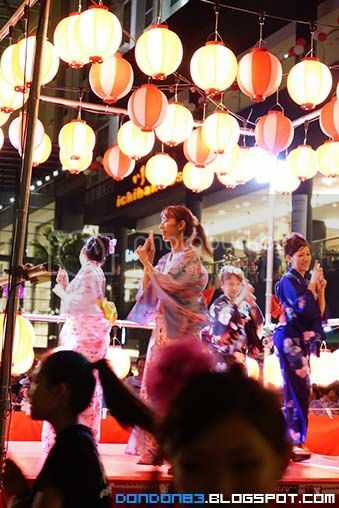 and this is their first Bon Odori in Publika. 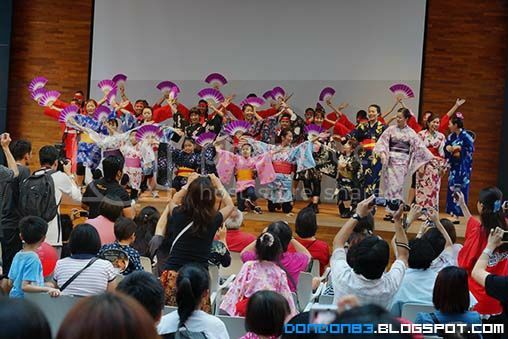 for those who wear yukata or kimono to attend this bon odori, you'll get a free beer and lucky draw.. good way to make more ppl wear it. 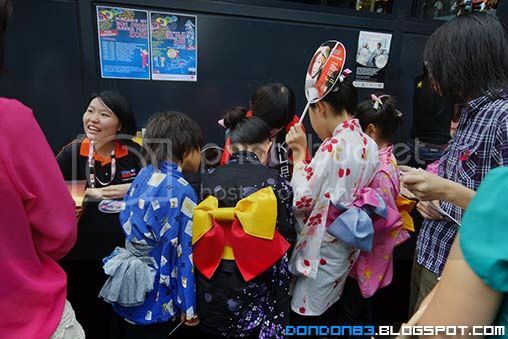 look.. there is long queue for this stall. 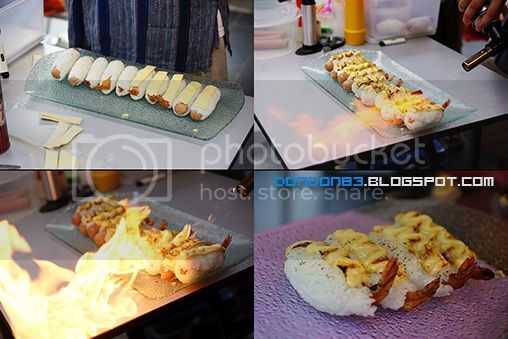 let see what's happening..
wow..... look yummy!! 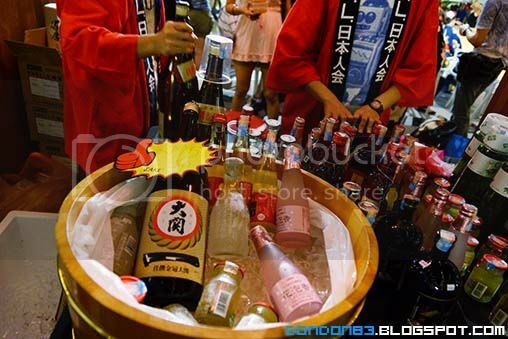 i want 2 box!! 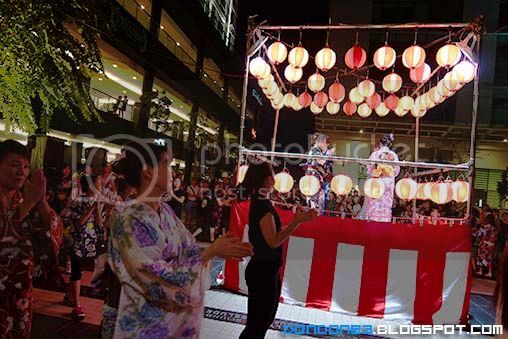 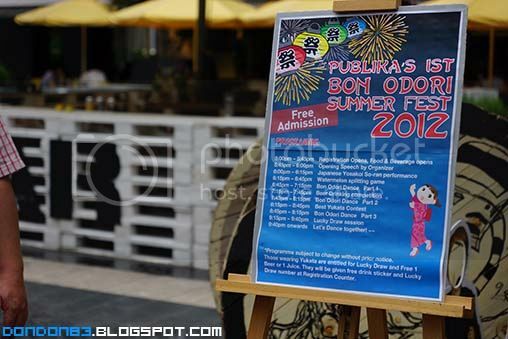 the opening speach for the first bon odori in publika. 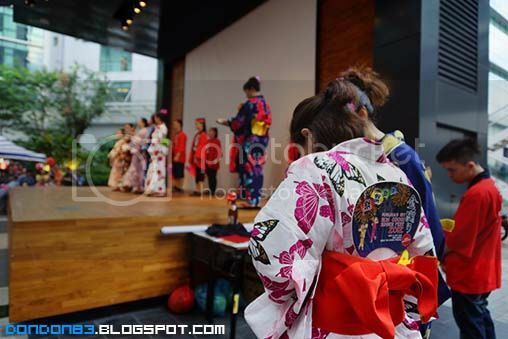 japanese culture dance will be start soon. 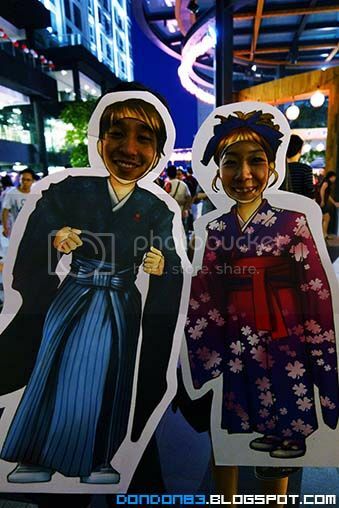 oh look. 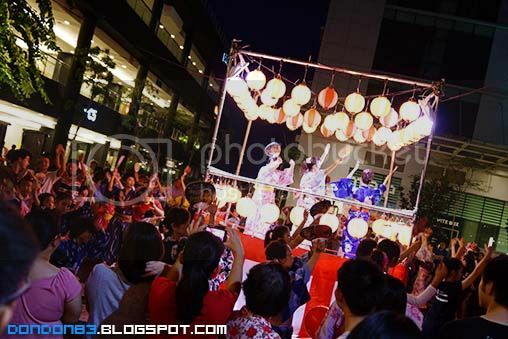 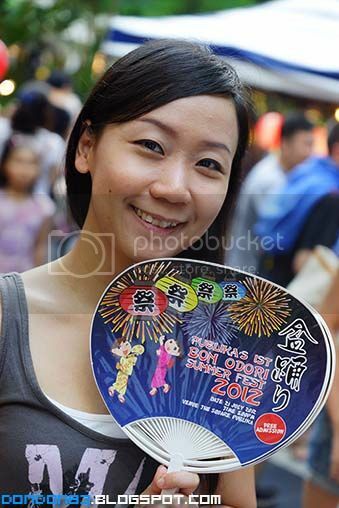 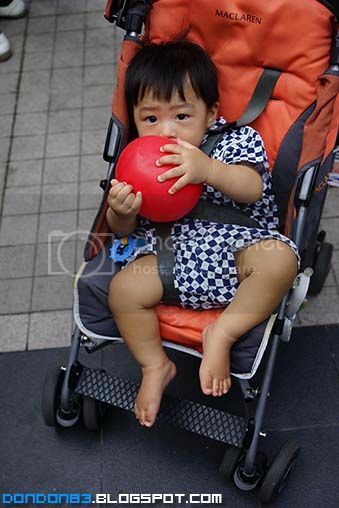 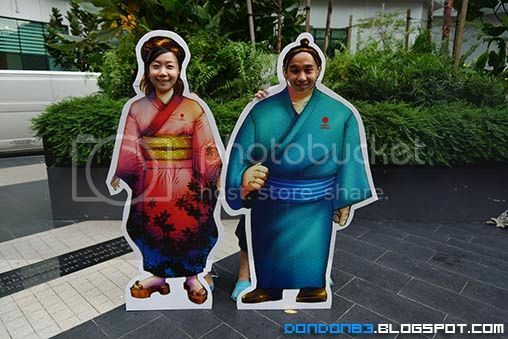 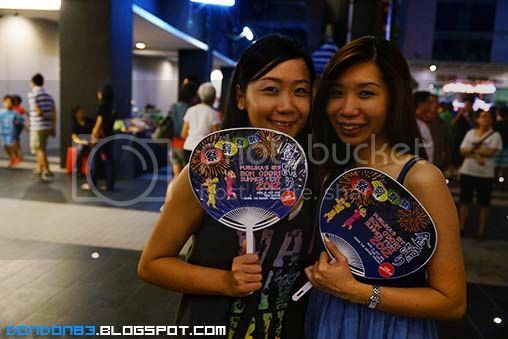 they seem like real japanese folks..
hehe, Shin lee managed to get this Bon Odori fan..
the stage seem small.. but who cares? 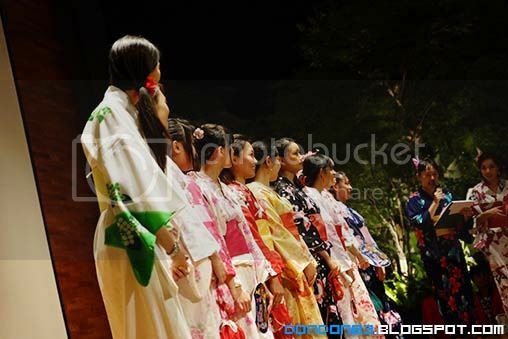 it's give way more Japanese feel here..
most of them dress like true Japanese. 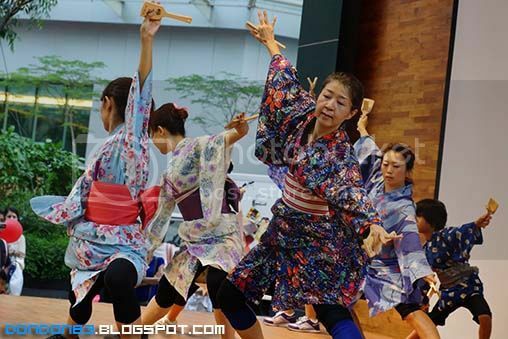 thanks to the stage dancer, who guide them to dance together. 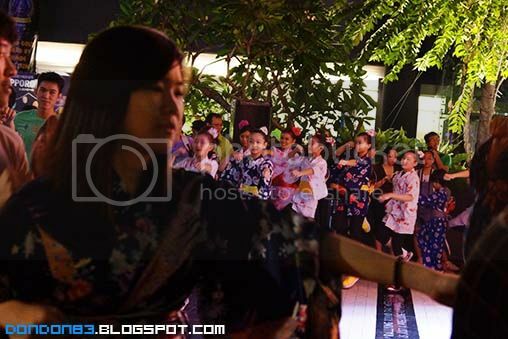 another shot of while the dance is on going. 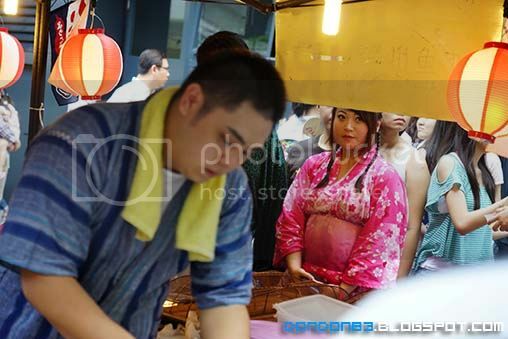 oh.. i.. i.. i'm SUMO MASTER!! 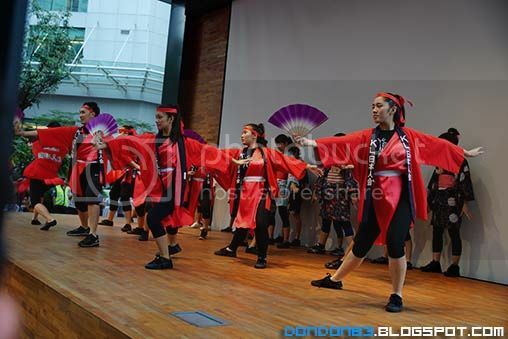 dun mess with me. 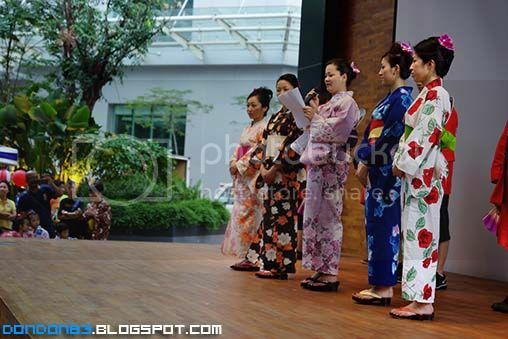 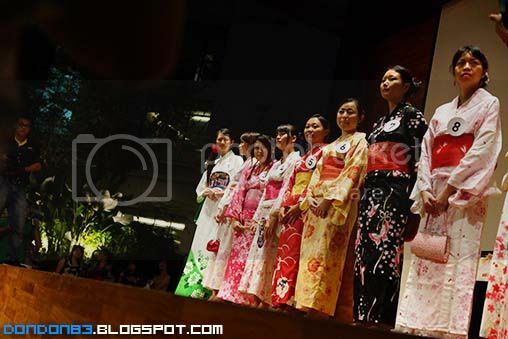 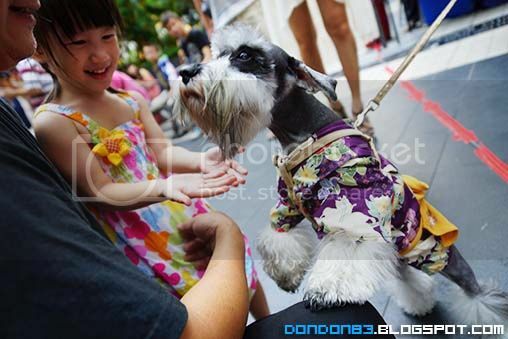 so who you think deserved the best dressed yukata?